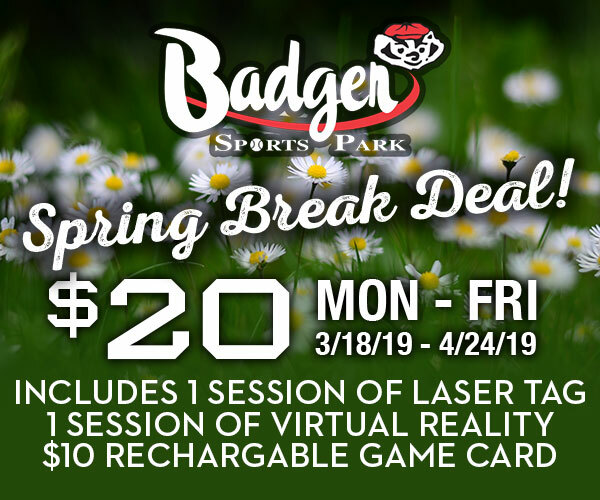 Are you thinking about taking a trip to Minnesota with your family? 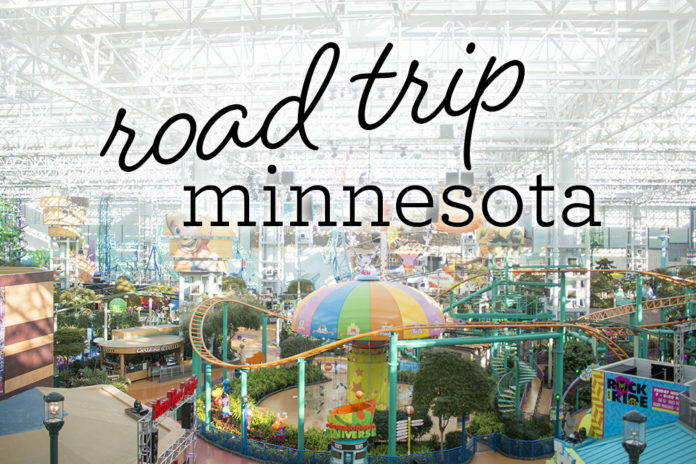 Here are some of our favorite spots around Minneapolis! 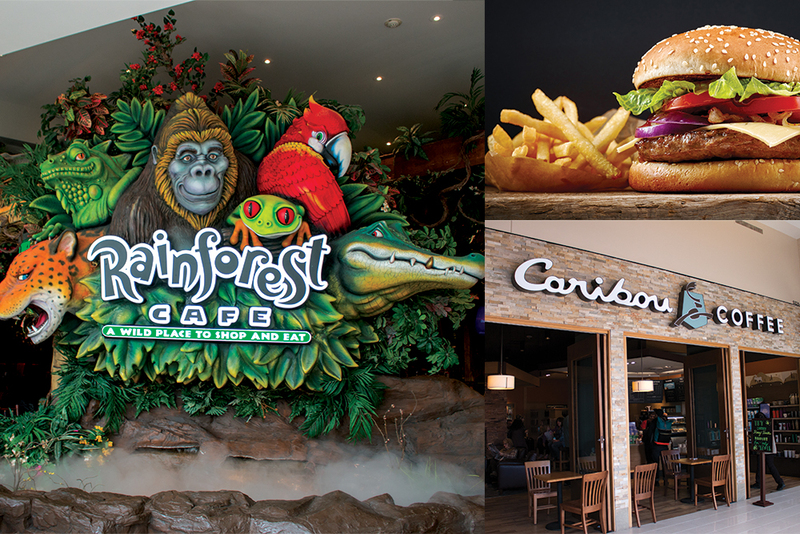 Staying at Mall of America gives you lots of dining options without fighting traffic! Most restaurants and eateries are located on the third level in the South Street Dining area or the Culinary North in the newest addition to the mall. Piada Italian Street Food is fresh and modern but also fast and casual – serving piadas, pastas and chopped salads. All food is made to order in a cafeteria style setting. This casual restaurant is a fun family option based on the “Forest Gump” movie. The menu specializes in shrimp and seafood but also traditional southern comfort food. This restaurant is a fun experience for lunch or dinner. Expect to be transported to the rainforest with tropical plants, waterfalls and animals. Satisfy your sweet tooth or grab your morning brew at Caribou! 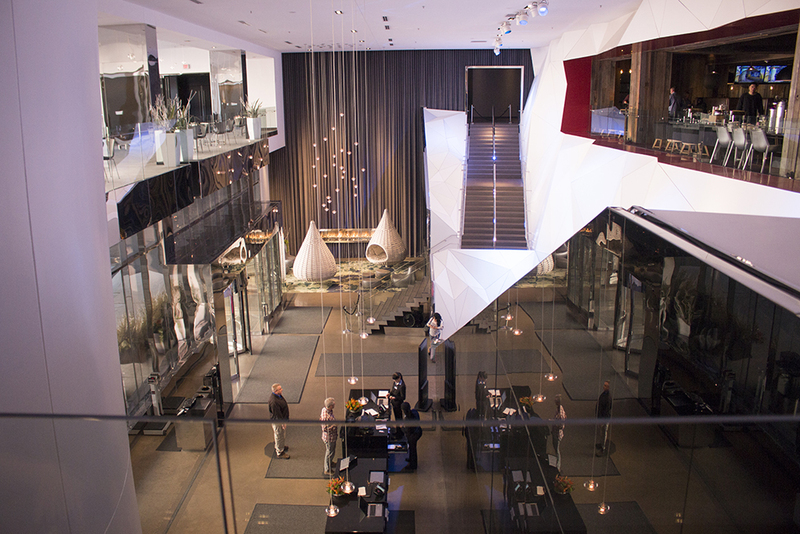 Headquartered right in Minneapolis, you will come across many convenient locations during your visit. This family friendly option is right off the highway. Enjoy what they claim as the “World’s Greatest Hamburger” and the Fuddruckers legendary Build Your Own® market fresh produce bar with lots of sandwich fixings including tomatoes, lettuce, onions, dill pickles, pico de gallo, Fudds cheese sauce, and more. They also have a great kids’ menu. 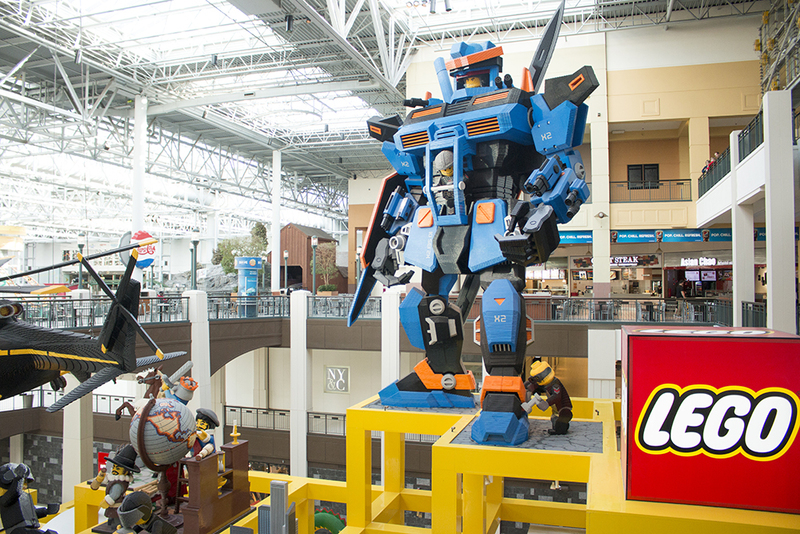 One of our favorite stops was the LEGO store! Make sure to grab your phone or camera for lots of fun photo opportunities. There are also FREE play tables for kiddos including both bricks for toddlers or bigger kids. 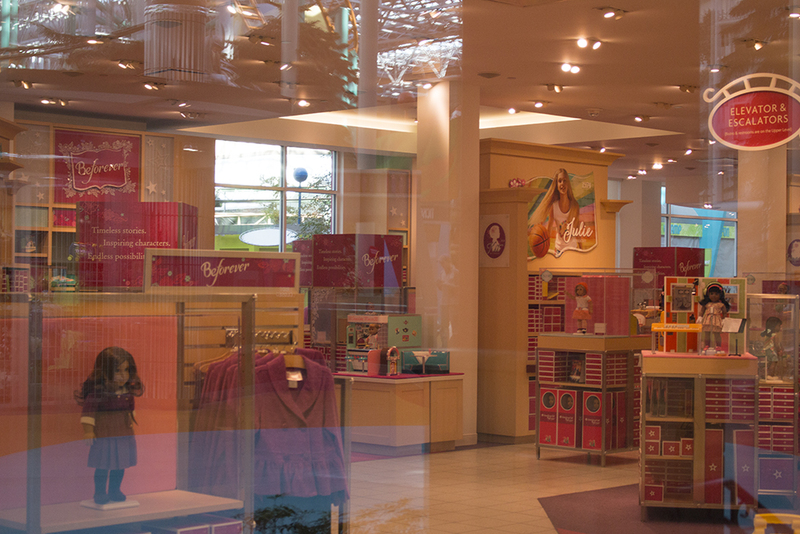 If you have an American Girl fan make sure to check out this fun store inside Mall of America that includes lots of shopping, a bistro, doll hair salon, and activities. 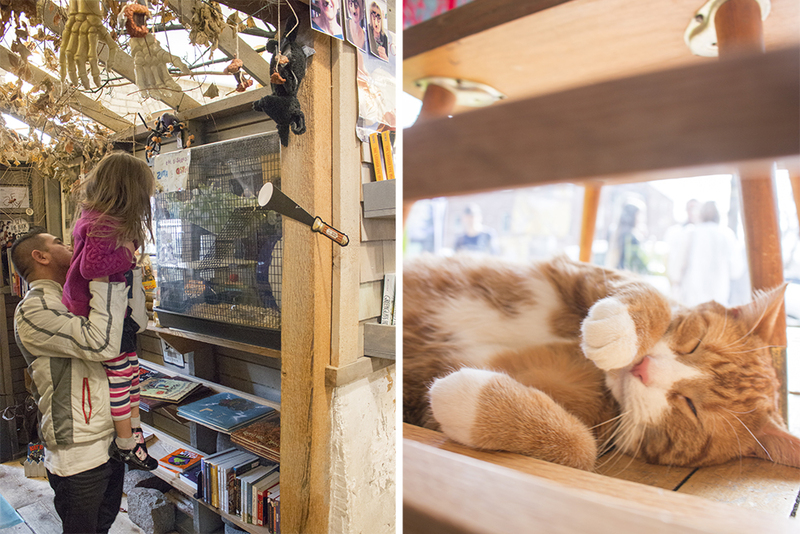 This little shop is more than just a bookstore and a great place to pick up a couple books for a long ride home. Meet one of the many cute animal “workers”: Amelia and Mr. Skeeter – the chinchillas, Astrid and Zita – the mice, Booker T, Trini Lopez and Walter Dean – the kitties, Thomas Jefferson – the spider, as well as birds, a chicken, ferrets and fish! 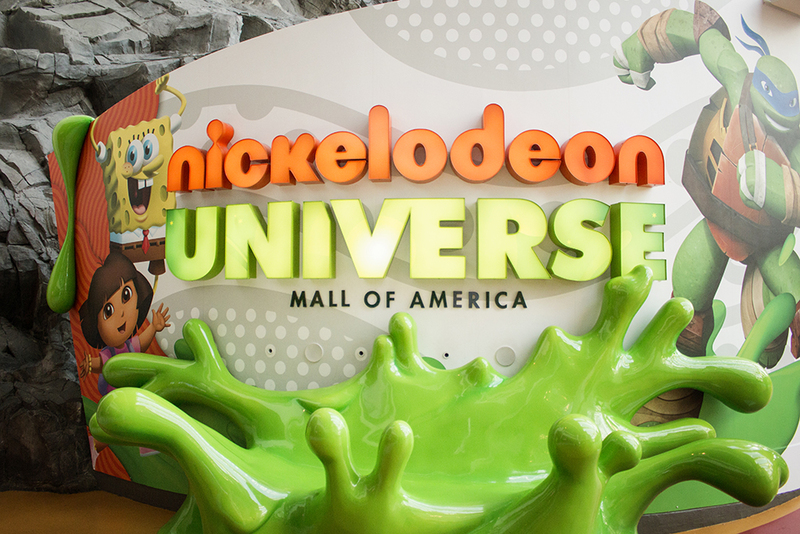 Nickelodeon Park is a seven-acre indoor amusement park in the center of the Mall of America with 27 different rides. 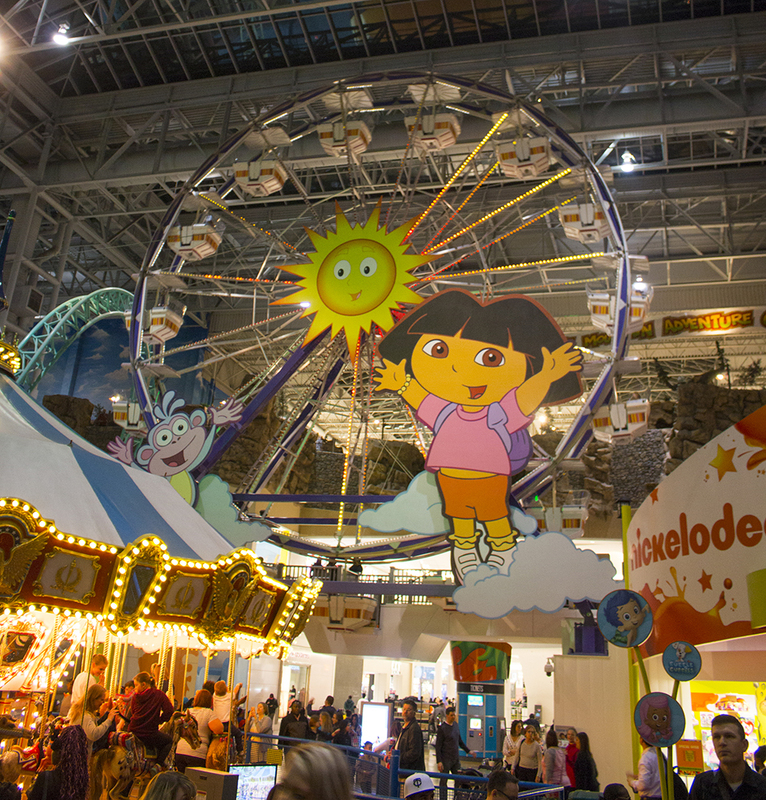 Kids will recognize many of their favorite Nickelodeon characters including Dora, Bubble Guppies and Backyardagains. Tickets are available as a Point Pass (can be shared and don’t expire) or Unlimited Wristbands (good only day of purchase and can’t be shared). Both are available to purchase at the park but we recommend purchasing them online before to save at least $5. Also watch for fun photo opportunities with the characters. TIP: The park can get pretty busy during the weekends, but if your kiddos need a little space to run around in the mornings head there before the open hours. We enjoyed walking around before heading home on Sunday at 10 am. The park doesn’t open until 11 on Sundays. 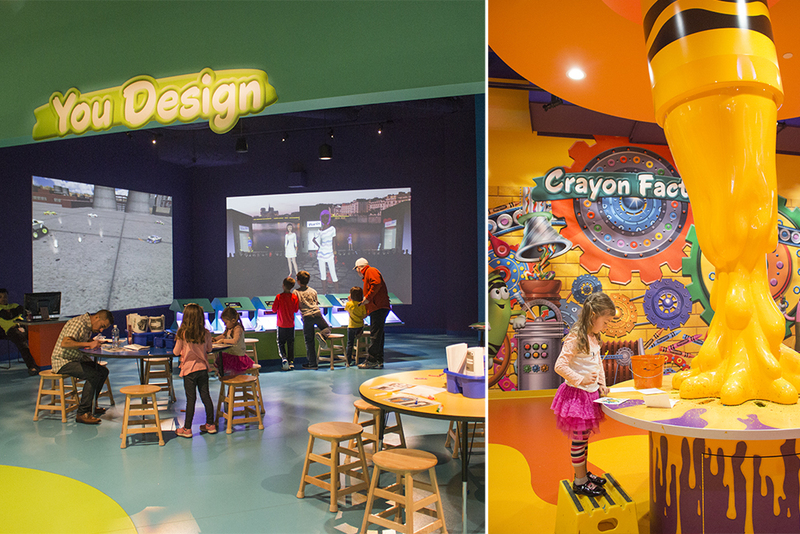 This creative destination is 60,000 square feet of interactive and hands-on creative play. We spent about 3.5 hours creating custom crayons and coloring sheets, artwork, and more. 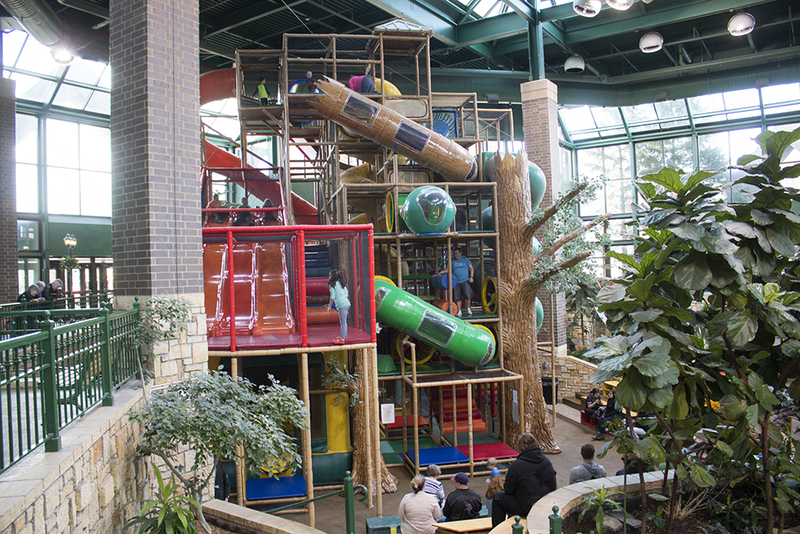 Take a creative break in the indoor playground or grab a bite to eat in the cafeteria style restaurant. Buy tickets ahead of time online or find an offer on RetailMeNot. and adults and children under one are free. Both adults and kids need socks. The Como Park Zoo and Conservatory is just a short drive from the Mall of America and is FREE (though donations are gladly accepted). One of the best exhibits is the Polar Bear Odyssey; meet the adorable twin bears Buzz and Neil. Also enjoy the six indoor gardens and beautiful outdoor spaces at the Marjorie McNeely Conservatory. This beautiful park’s main attraction is a 53-foot waterfall. Also enjoy limestone bluffs, river overlooks, walking paths, wading pool, playground and more. The Children’s Museum is currently closed for renovation and is scheduled to reopen in June 7, 2017. 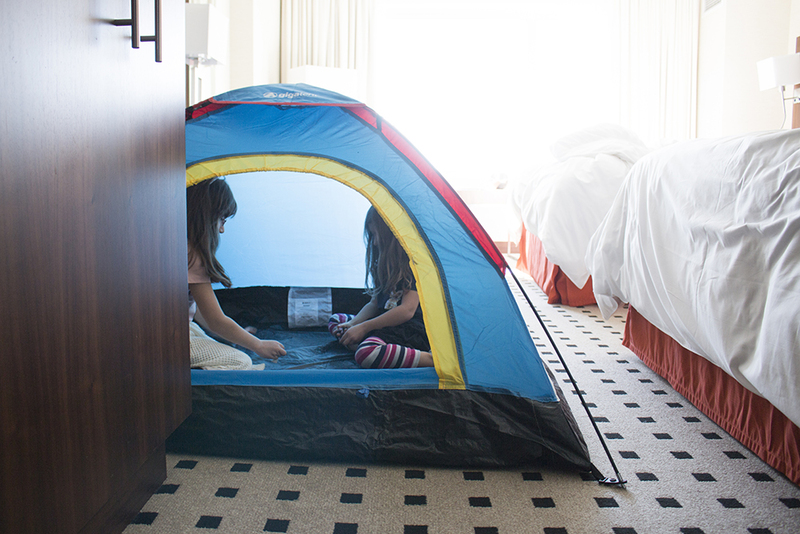 Radisson Blu, Mall of America serves is one of two hotels directly connected to the mall and offers the ultimate convenience for families. The hotel features 500 fashion-inspired guestrooms, including junior suites, a state-of-the-art fitness center with an indoor pool, Solimar Spa, as well as FireLake Grill House & Cocktail Bar. When planning your next trip to Minneapolis, visit minneapolis.org for ideas, deals and sample itineraries for any season! 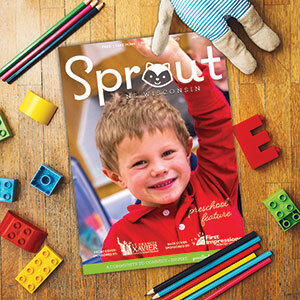 *Free or discounted general admission to hundreds of participating institutions across the country in the Association of Children’s Museums Reciprocal Network (get 50% off general admission for up to six (6) people at museums participating in the network) or Association of Science Technology Centers Travel Passport Program (Free general admission to science centers & museums located outside 90 miles of the science center or museum where you are a member. Free general admission to science centers & museums located outside 90 miles of your residence. Check ASTC website for exclusions and benefits). Check out each program’s website for more info. Go Valley Kids received some complimentary accommodations in order to facilitate this review. As always, all opinions are my own.